Parenting is an on-going learning experience. In your relationship with your child there are many dynamics that are constantly changing as you each grow. And although your kids provide you with a lifetime of cherished memories, there are also trying times and intense moments where kids will naturally rebel and forgo your instruction and advice. In extreme matters, parents may feel like they are losing control and as misbehavior continues, they may feel fed up and not know where to turn for help. Did you know that there are a handful of Children’s Administration evidence-based programs available to parents and caretakers of the community by referral through beda?chelh? 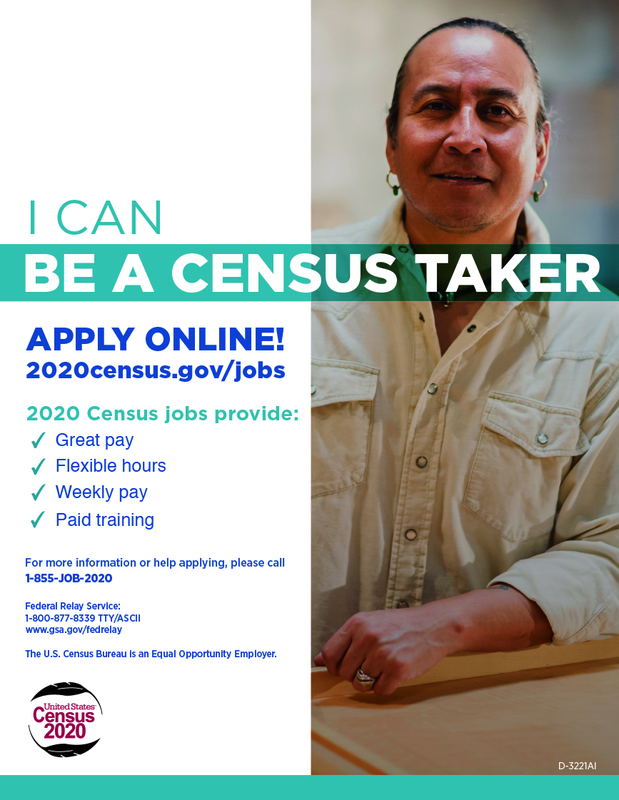 By requesting assistance from a beda?chelh social worker, Tulalip families can participate in programs that address their specific needs and are geared toward improving and restoring family relationships. There are seven programs in total that range in public classroom-style settings to private in-home sessions; and each program specializes in certain age groups, varying from birth to eighteen. Tulalip tribal member and Child Advocacy Center (CAC) Manager Jade Carela is currently working on attaining her master’s degree. In doing so, Jade has taken up a 12-hour a week internship with beda?chelh, on top of her very busy schedule. She explained that as a part of her training, she wants to educate the community about these resources and inform local parents about how beda?chelh can assist their family without removing the child from the home. “You can call beda?chelh and talk to a social worker like, hey I’m having these issues, what programs can I benefit from?,” she explains. 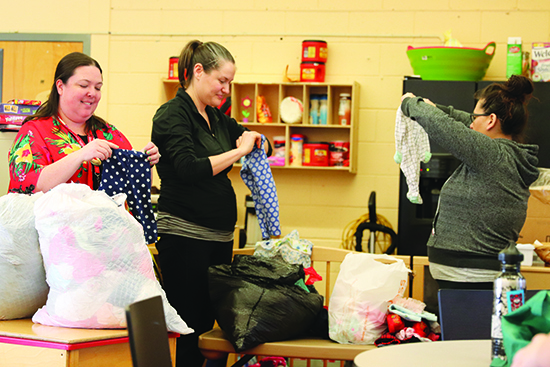 “beda?chelh would have to make a referral for the family to these services. If you have an open case or a referral comes in about you, and beda?chelh goes out to talk to you, then they can refer you to these services without opening a dependency on your child. The CPS workers would set-up a safety plan with you so they can keep in contact to make sure that program’s working for you. 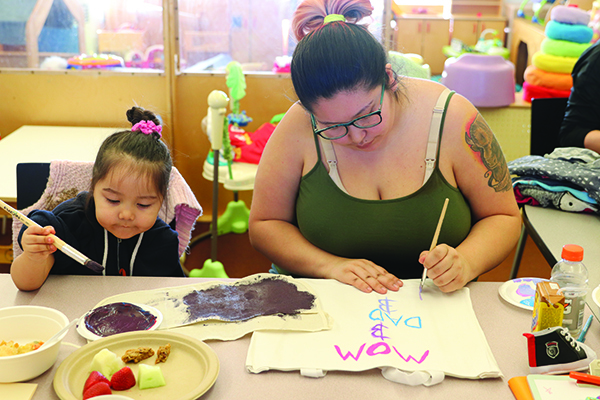 For years, beda?chelh social workers have dedicated their careers to ensuring Tulalip children are safe, first and foremost, and continue living within their families and community, which allows the kids to engage in their culture and learn about their heritage if removed from their homes. 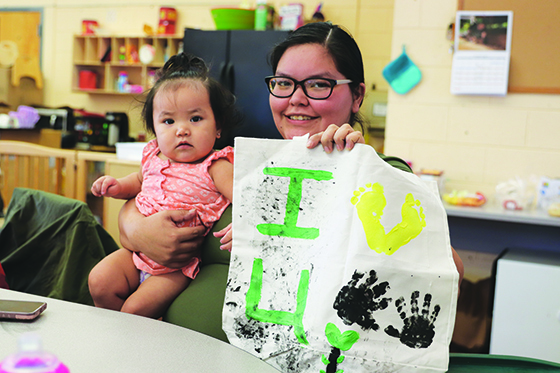 The tribal-based child protective services program has seen a number of reunifications over the years, guiding parents in the right direction who are actively pursuing custody of their children. beda?chelh is involved with both the child and parent from the moment a concern is reported, throughout the placement process as well as post-reunification. When a parent reaches out to beda?chelh for additional support, the social workers will not only refer them to the appropriate program, they will also attend all of the sessions to observe and help moderate. After a family is reunified, they may experience difficulties getting reacclimated and conflict may arise. At this point in time, a social worker can discuss the issues happening in the home with the family and refer them to one of the evidence-based programs. Family Functional Therapy (FFT) is for the older kids between 11 and 18 and is in-home for 10 to 15 weekly sessions. This program discusses appropriate discipline, increasing communication between the family, reducing teen substance abuse and stabilizing youth’s behavior and academics at school; Promoting First Relationships (PFR) is a 10 to 14-week program that is in-home where therapists teach new parenting skills through live coaching; and Intensive Family Preservation Services (Homebuilders) specializes in birth to 18. This 4 to 6-week intensive intervention program requires face-to-face family time and is focused on connecting families with natural support within their community while also teaching crisis intervention, life skills and cognitive-behavioral therapy. For additional details, please contact beda?chelh at (360) 716-3284. At the intersection of 1st Avenue and University Street in downtown Seattle is a large sculpture of a craftsman utilizing a hammer outside of the Seattle Art Museum (SAM). For decades, the museum has been the home to a collection of diverse artwork celebrating the many cultures from around the world, including several installations and exhibits that highlight traditional Indigenous artwork such as carvings and paintings. 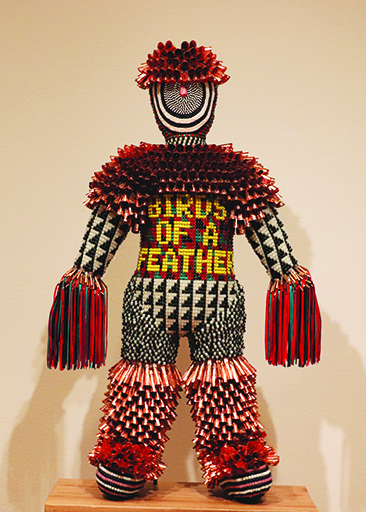 This spring, the SAM decided to host a major exhibit that was first curated and featured at the Denver Art Museum and showcases the works of Choctaw and Cherokee Artist Jeffrey Gibson who, much like the craftsman sculpture, used a hammer to attract the masses and break into the art world, albeit metaphorically. Located on the top floor showroom of SAM, the Like A Hammer exhibit invites visitors to explore Jeffery’s mind and vivid imagination as his creations serve as a reflection of who he is, all while paying tribute to the history of the art, material and words that inspire his artwork, drawing ideas from his culture, modern music and personal life. 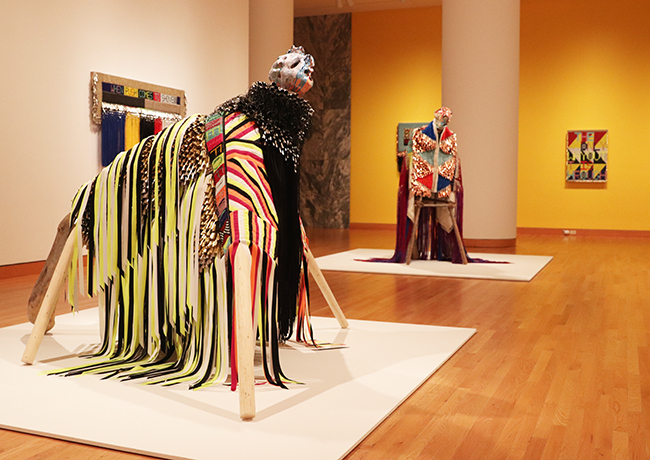 The exhibit features over sixty-five unique pieces from Jeffery’s collection, all of which were created after 2011 following a huge revelation that found him deconstructing and reconstructing many areas of his life. In a lecture at the New York Studio School, Jeffery explained that he nearly gave up his passion after his material was rejected by several art museums and studios. He was so upset that one day he took all of his paintings to his local laundromat and put them through three back-to-back wash cycles. After hearing this news, Jeffery’s friend recommended him to a counselor for anger management. The counselor in turn suggested physical activity as a way to take out his aggression, so he joined a nearby gym and it was here where he had his first breakthrough. The beaded Everlast punching bag is perhaps Jeffery’s most notable work to date. Approximately fifteen colorful bags are displayed throughout the exhibit, all featuring traditional beadwork with contemporary designs. 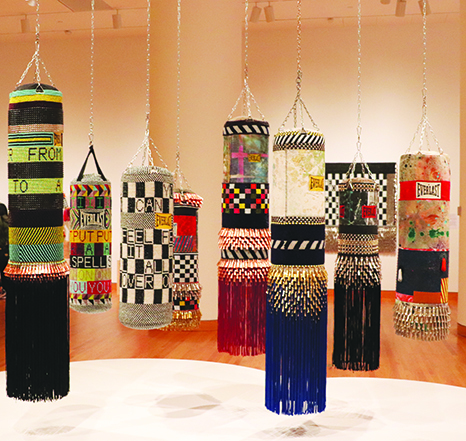 On several punching bags, Jeffery incorporates the lyrics of his favorite songs into his beadwork such as ‘If I Ruled the World’ by Nas and Lauryn Hill as well as ‘I Put a Spell On You’ by Nina Simone. In addition to lyrics and beadwork, Jeffrey also included various elements of ceremonial regalia like jingles, sinew and fringe. The lyrics and wordplay aren’t limited to the punching bags. In fact, Jeffery repurposed a number of traditional wool blankets into contemporary art that hang on the wall of the museum and garner a lot of attention from local art enthusiasts. Memorable lines from ‘Time (Clock of the Heart)’ by the Culture Club, ‘Fight the Power’ by Public Enemy as well as a quote by writer James A. Baldwin are spelled out in glass beads on the blankets. SAM also displayed a number of Jeffrey’s geometrical paintings which he constructed on rawhide as well as sculpted figurines that don traditional regalia, such as jingle dresses and shawls. The exhibit ends in a room with rainbow curtains covered with bold letters that read ‘Don’t Make Me Over’ and ‘Accept Me for What I Am’. Projected on the wall is a video presentation by Jeffrey in which he is dressed in customized ceremonial garb and performing spoken word and song on a traditional hand drum. Although, the Like A Hammer exhibit displays artwork that explores the identity of Jeffery Gibson as a proud queer Indigenous creative, his intention behind his work is the hope that others can identify with the art, whether through triumph or struggle, and find a sense of community as well as inspire the next generations to come to simply be themselves. 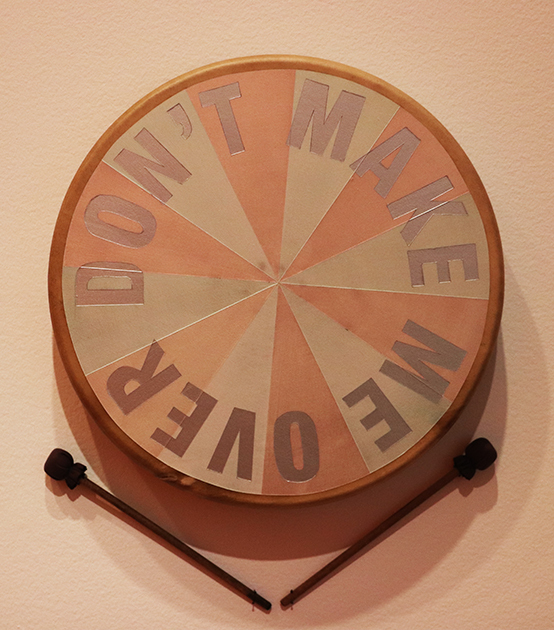 Like A Hammer is a must-see-in-person exhibit and is currently on display until May 12. For tickets and more info, please contact the Seattle Art Museum at (206) 625-8900 or visit www.SeattleArtMuseum.org. 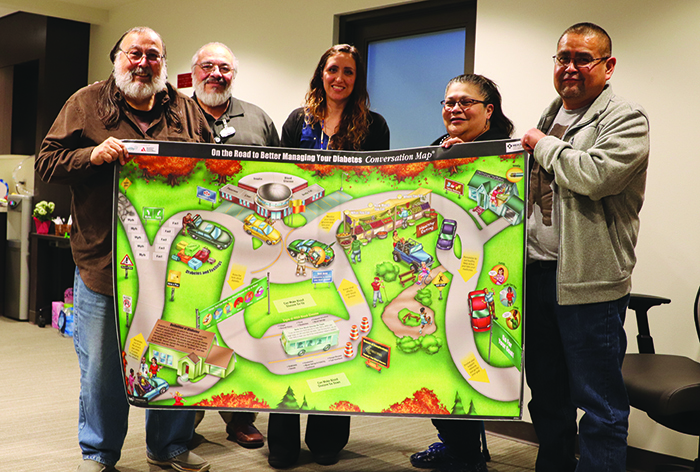 On the evening of March 7, the Tulalip Diabetes Care and Prevention program hosted their first Finding Your Way with Diabetes gathering of the year in the newly constructed conference room at the Karen I. Fryberg Health Clinic. After great success last summer, the interactive course was brought back to help local diabetics get a better understanding of how to manage their diabetes. 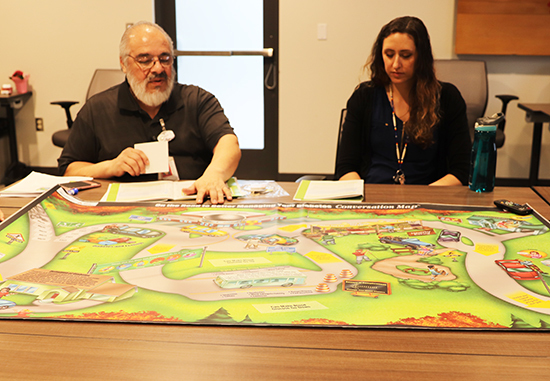 Finding Your Way with Diabetes is led by Diabetes Educators, Miguel Arteaga (RN) and Natasha LeVee (PharmD) who guide the participants through an hour and a half long class that includes games, snacks and plenty of laughter. Participants are encouraged to share their stories with their fellow diabetics to give insight into the disease and how it can affect others in both similar and different ways. 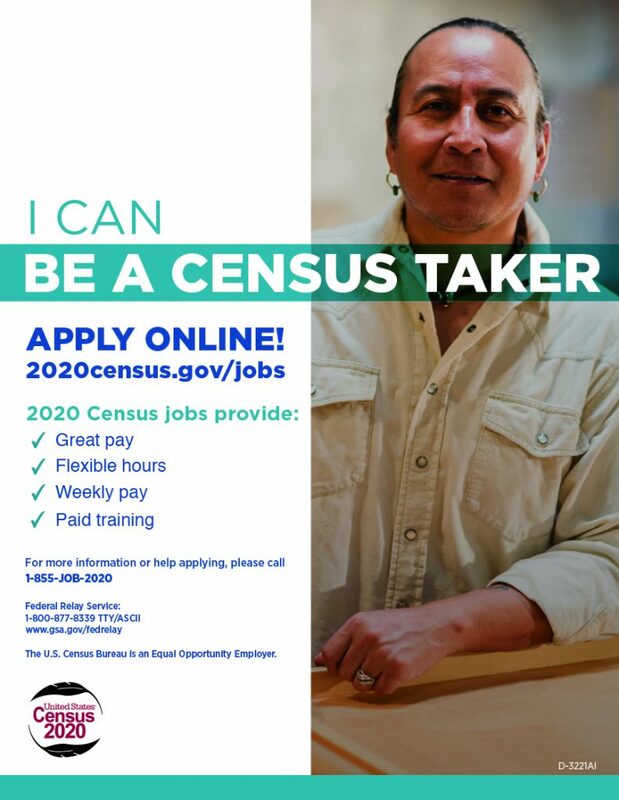 The latest report from the Centers for Disease Control and Prevention (CDC) revealed that Native Americans are still at great risk and twice as likely to be diagnosed with diabetes, but because of programs like Diabetes Care and Prevention, Indigenous Peoples living with diabetes are learning how to responsibly manage their blood glucose levels, eat healthy nutritious foods, and participate in physical activity as well as gain more general knowledge about diabetes. At the start of each class, Miguel and Natasha ask the participants if there are any topics they would like to discuss, compiling a list of subjects to touch upon as the class progresses. The students then use a road map, which looks like a giant board game, for the remainder of the class. The road map provides several games like ‘Fact or Myth’ as well as a variety of discussion topics allowing the participants to engage in healthy conversation regarding nutrition, insulin, medication, types of diabetes as well as their daily successes and struggles as they work their way through the map. The Finding Your Way with Diabetes class provides an opportunity for local diabetics and their families to find a sense of community. The first class was an intimate gathering where three individuals became acquainted and shared their personal journey. 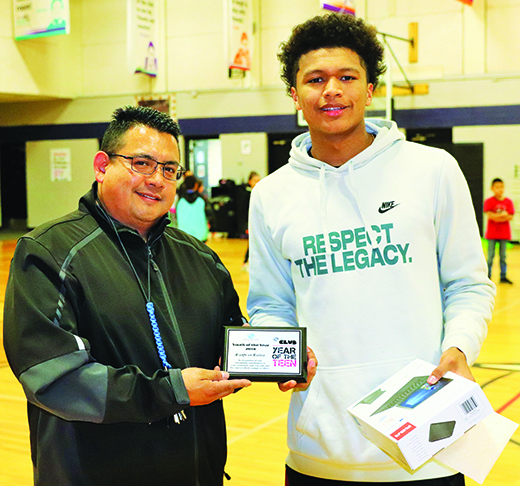 Community member Jim Dunham and Tulalip tribal member Marvin Jones, who both have type 2 diabetes, welcomed newcomer Daniel Charlie to the group. Daniel shared his history, explaining how he was diagnosed with type 1 diabetes a few short years ago. He nearly lost his life due to a rough bout of pancreatitis that put him into a hospital for ten months, in which he was in a coma for over four of those months. Jim and Marvin were both flabbergasted as he described his story. They commended him for fighting for his life and also encouraged him to keep pushing forward, advising him to take it one day at time while also extending their support as he continues living with diabetes. By the end of the class Daniel was embraced with hugs and personal discussion from both the participants and the instructors. Finding Your Way with Diabetes is hosted at the Karen I. Fryberg Health Clinic every Thursday in March from 4:30 p.m. until 6:00 p.m. The Diabetes Care and Prevention program has an eventful year planned for the community, including several garden days at the clinic and cooking classes with Britt Reed, as well as a new class, Seven Skills to Live with Diabetes, where they will go into further detail about diabetes management. If you or a loved one is living with diabetes, Miguel and Natasha encourage you to drop by the Diabetes Care and Prevention program at the clinic so they can answer any questions, provide you with resources and set you up with a personalized plan to help manage your diabetes. For further information, please contact the Diabetes program at (360) 716-5642. 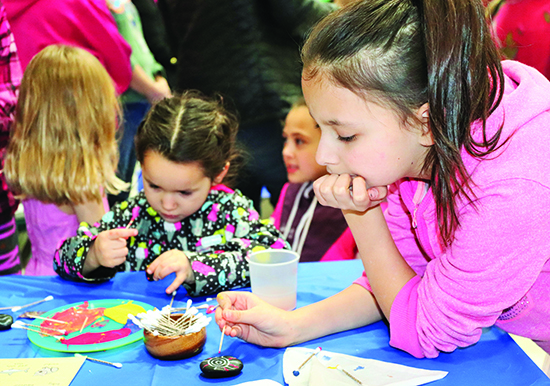 Students of Quil Ceda Tulalip Elementary, along with their families and friends, were captivated by the richness of Latin American song and dance during the annual Cultural Fair held on February 28th. In collaboration with Marysville School District’s (MSD) Indigenous Education and a truly dedicated school staff, it was an amazing evening to celebrate the diverse community that is Tulalip/Marysville. 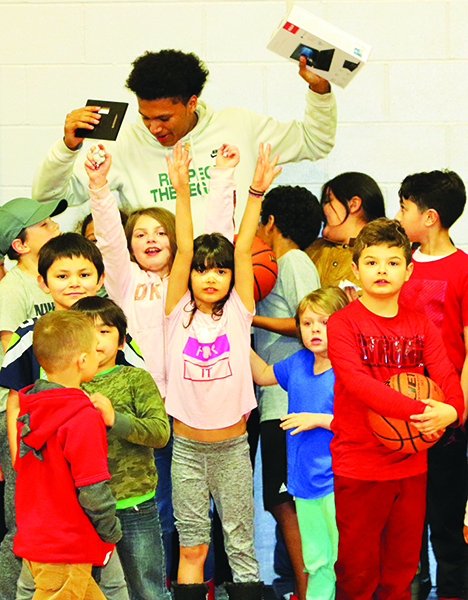 Over two hundred participants filled the elementary’s multi-purpose room where a variety of family-friendly activities and information stations were both available to engage in while broadening cultural understanding. Additional incentives to tour each station came in the form of edible worldly snacks that sparked curiosity in the mind and to the palette. Interactive booths represented cultures from around the world, including Tulalip, Mexico, Guam, Ireland, Australia, and the United Kingdom. Traditional powwow music was broadcast through the school’s speakers, while a Spanish guitarist also shared his soothing tones with children and parents alike. 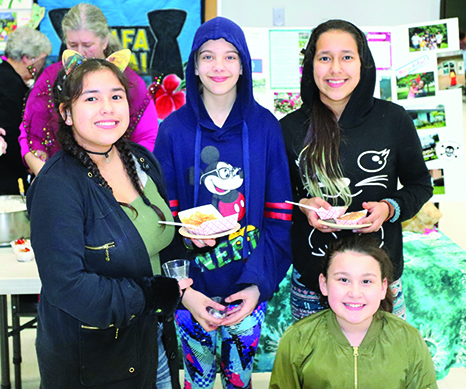 As fair goers made their way around the culturally informative stations they gained insights into cultures and traditions different than their own. 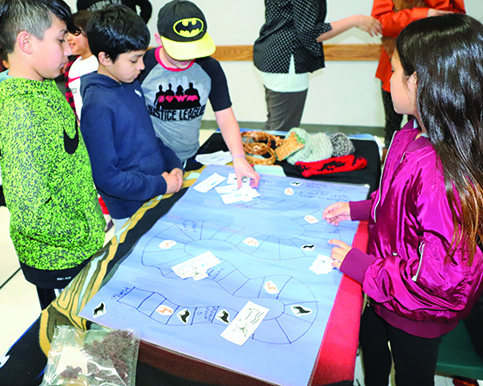 Lushootseed language warrior Maria Martin shared a board game she created. 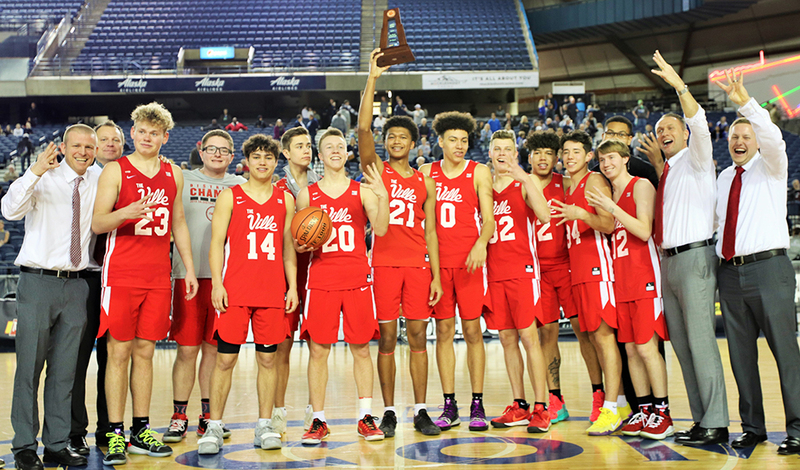 It teaches Lushootseed, traditional Coast Salish culture, and some history via the laid back atmosphere of a children’s game. When the users finished the game their prize was smoked venison and, hopefully, having learned a Lushootseed word or two. 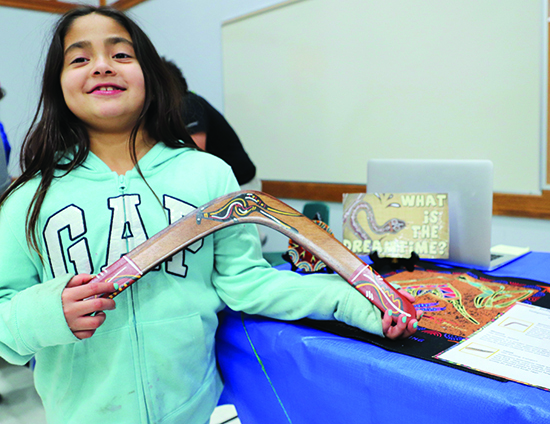 An arts and craft station demonstrated how cultures indigenous to Australia paint vibrant colored stones and rock formations. Children summoned their inner artist to create animal figures, like the kangaroo, sea turtle or sand viper, on the smooth stones using toothpicks and their choice of paint. 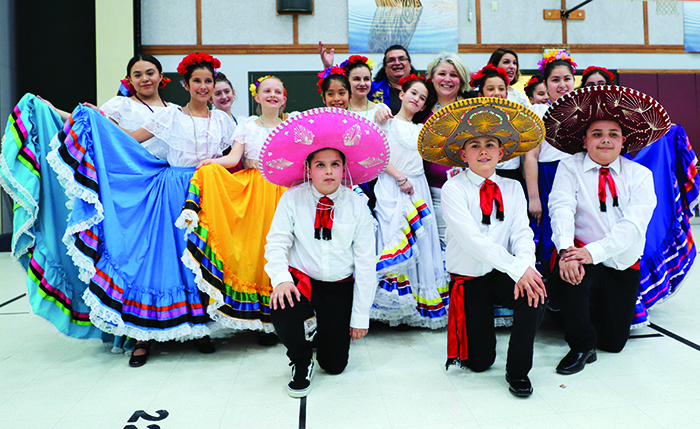 The evening’s featured entertainment was Los Solecitos Del Valle, a Latin youth dance troop out of Skagit Valley. Their performance captivated the attention of everyone young and old during the riveting display of tradition and heritage. 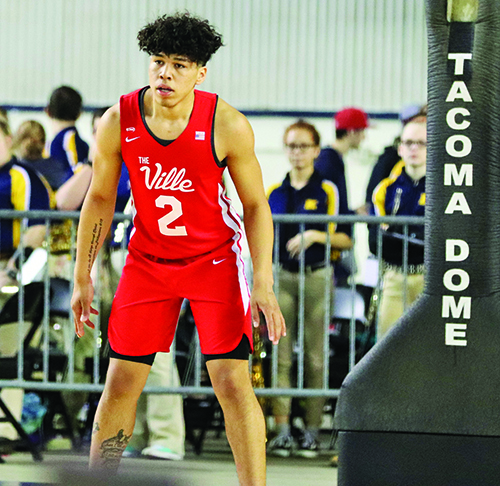 Los Solecitos Del Valle, a Latin youth dance troop out of Skagit Valley, was the Cultural Fair’s featured entertainment. 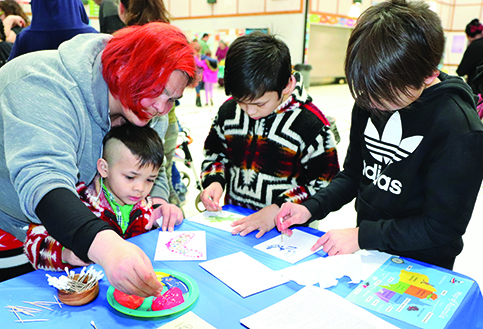 The annual Cultural Fair was a tremendous success in putting a spotlight on the richness of a diverse community, as traditional knowledge was gained and shared. For those with a strong understanding of historical context, the fact that people of all backgrounds participated and enjoyed the cross-cultural exchange on a Native American reservation featuring Latin youth performing their dances is a testament to the power of progress. “Putting on the Cultural Fair takes coordination and cooperation from so many individuals,” reflected QCT Principal Douglas Shook. “Our assistant Principal Kelly Parsons rallied our staff and coordinated outside groups to be a part of this special night. It means so much for our students to not only know their own local culture, but to also know the culture of their friends, neighbors and teachers. 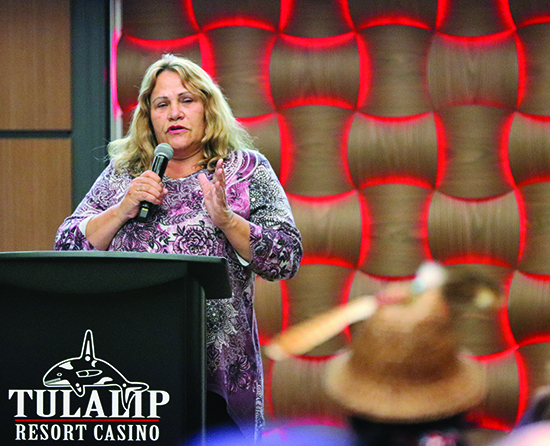 “Who is a problem gambler?” asked Tulalip Problem Gambling Coordinator, Sarah Sense-Wilson. “A problem gambler is anyone whose gambling is causing psychological, financial, emotional, spiritual, relational, legal or other difficulties for themselves and others around them, including family and community. Many of us have shared a story about one of our gambling escapades with a close friend or family member. You know the one, it usually begins as a fun night out with good company at a casino and includes plenty of dancing, delicious delectabls and drinks. And if you’re feeling lucky, you might even hit the floor. Whether your poison is table games or the machines, the story can only have one of three outcomes; you win, lose or break even. At times we recall these stories as if they were tales of war, recapping each spin or hand dealt. However, it tends to end along the lines, ‘I was winning and then lost it all. Should’ve left while I was up’, or ‘I won! I got the bonus, five free spins and then hit a bunch wilds’. Because in the moment it’s all fun, it’s as if you become hypnotized by the music and obsessed with obtaining more credits. For most, gambling is a fun social event. Many set a limit of how much money they will gamble before even stepping into a gaming establishment. That way if they lose, it’s already accounted for. While others can get caught up in the thrill of chasing jackpots, willing to risk it all in hopes of a big payout. Like most vices, gambling is addictive and provides a high. And if you’re a compulsive gambler, you lose the concept of time and reality, only to snap out of it when you’re forced to stop i.e., run out of cash or hit a jackpot. The odds are always against you, but even when you lose, you might feel compelled to ‘win it back’ and visit the nearest ATM. 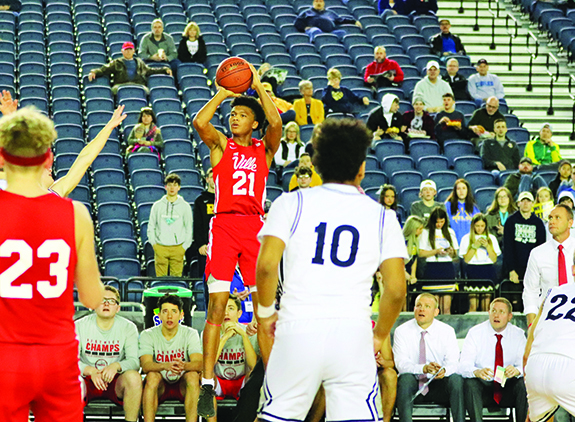 Every March is National Problem Gambling Awareness Month, an initiative that launched fifteen years ago and was inspired largely in part by the mass amount of NCAA March Madness basketball bracket pools. 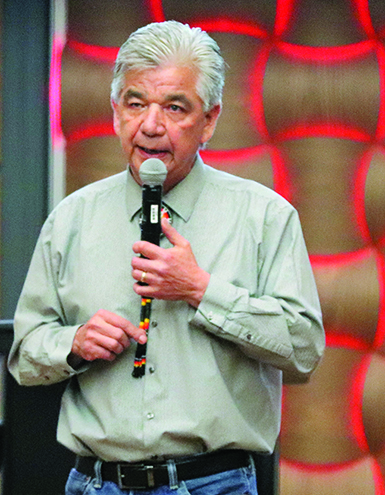 In an effort to raise awareness and to provide support as well as education, the Tulalip Problem Gambling program actively participates in awareness month by hosting a number of events every third month of the year. 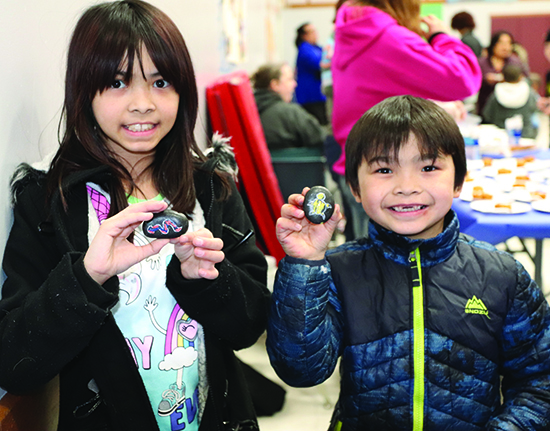 On the evening of March 2, the Tulalip Problem Gambling program kicked off National Problem Gambling Awareness Month at the Hibulb Cultural Center during their 4th Annual Community Gathering night. The community gathering is a popular event that welcomes those who are recovering from their addiction, as well as their families. The theme for this year’s event was titled ‘Our Healing Journey’ and the Problem Gambling program offered good medicine throughout the night. The community filled the Hibulb Longhouse, enjoying an evening complete with dinner and entertainment. 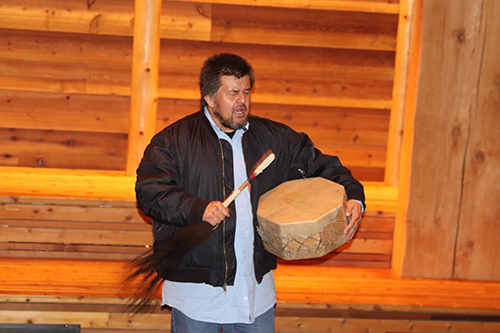 Master of Ceremony and Tulalip tribal member, Whaa-Ka-Dup Monger opened the event with a prayer before community member Terrance Sabbas led his family in a drum circle, offering a prayer song to the participants. 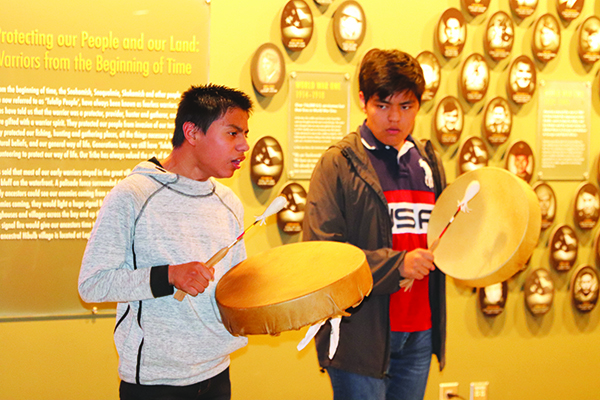 One of the highlights of the evening came right before dinner as two young Tulalip Youth Council members, Image Enick and Kaiser Moses, offered words of encouragement and a traditional Tulalip song for those healing from problem gambling. 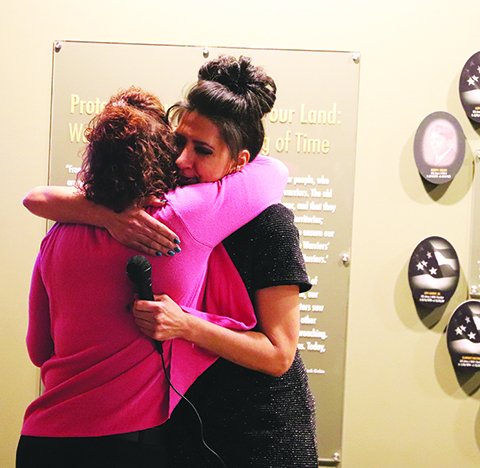 Tulalip Problem Gambling Coordinator, Sara Sense-Wilson, gives a hug to attendee Charlotte, for sharing her moving story about overcoming her gambling addiction. Charlotte, who was celebrating three years and six months of her personal healing journey, openly shared her intimate story with the community. In 2015, she was caught embezzling from a non-profit, of which she was the treasurer, to fuel her gambling addiction. 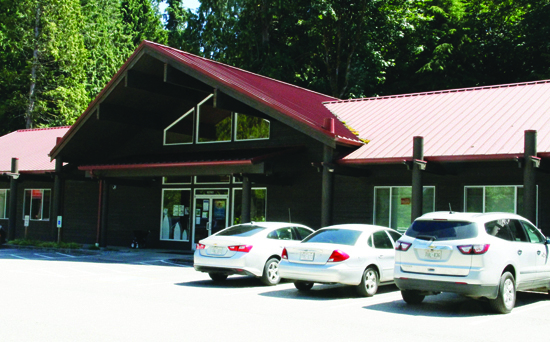 She eventually was admitted into a deferment program for her crimes and found herself at the Tulalip Problem Gambling program with Sarah who helped her through the recovery process. Sarah tasked Charlotte with creating a timeline of her gambling problem. 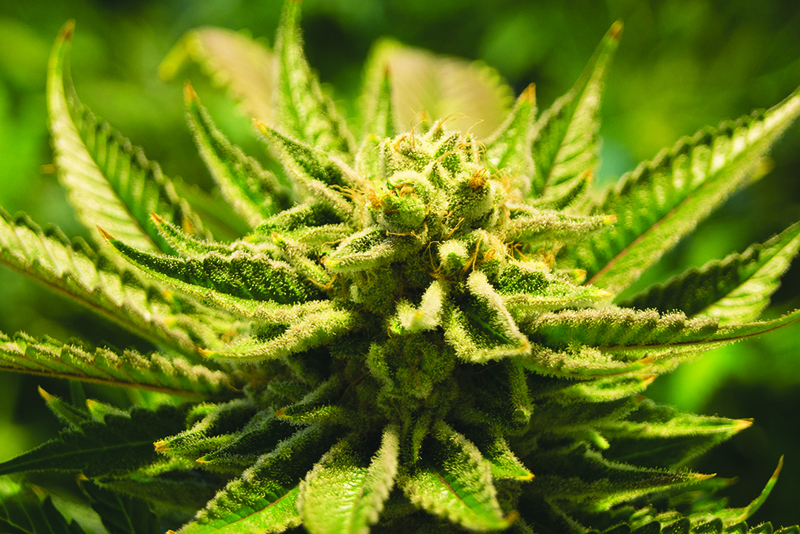 When working on her timeline she learned that the addiction stemmed from a year of hardship, in which she lost family members due to cancer and alcoholism, along with a traumatizing event concerning her child. Charlotte explained that she made recovery a priority and began learning about her addiction; why she gambled, how it was affecting her and why she was covering it up. Therefore, she learned how to deal with her feelings and work through her adversity. The community gathering concluded with a performance by Native comedian Vaughn Eagle Bear whose claim to fame was the song John Wayne’s Teeth which was featured in the Native cult classic, Smoke Signals. After participants finished drying their eyes following Charlotte’s moving testimony, Vaughn made the crowd cry once more, but this time the tears were caused by his hilarious rez humor. Problem Gambling will continue to host a number of events throughout National Problem Gambling Awareness month. If you or a loved one suffer from a gambling addiction, please contact the Tulalip Problem Gambling program at (360) 716-4440.